From dribbling to passing and more - everything girls need to know to succeed in basketball. Women's basketball is more popular than ever, and the number of girls playing youth basketball is at an all-time high. At the same time, the competition on the court has become stiffer than ever before. 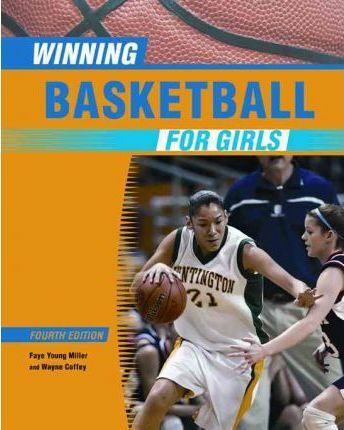 "Winning Basketball for Girls, Fourth Edition" covers all the elements of the game, from the basics to the most advanced moves and plays. Drills and exercises give athletes the tools they need to learn new techniques and fine-tune their existing ones. Nearly 100 full-color photographs feature real high school athletes and demonstrate proper playing techniques - from basic skills to expert moves. Also included are more than 30 full-color diagrams and an all-new chapter, Preparation for Success - Getting in Shape, that emphasizes the benefits of keeping fit to enhance performance on the court. The history and rules of the game have also been added as well as new exercises and tips for improving all aspects of play. The chapters include: A Look at the Game; Getting Started; Ball-Handling - Developing a Feel for the Ball; Footwork - The Foundation of Good Basketball; Your Best Shot; Passing - The Heart of the Game; Dribbling Under Control; Playing Tough Defense; and, All About Zones. Faye Young Miller has coached women's basketball at Manhattan College, Georgia Tech, and Cornell University, and is currently an assistant at Cortland State University in upstate New York. She played for Kay Yow at North Carolina State University where she was a co-captain before playing three seasons in the Women's Professional Basketball League (WBL) Faye lives in Ithaca, New York. Wayne Coffey is an award-winning sportswriter for the New York Daily News. He is also the author of more than 30 books, including the New York Times bestseller The Boys of Winter, a chronicle of the 1980 U.S. Olympic hockey team.